While we anxiously anticipate the announcements of the Most Valuable Players in the American and National Leagues to finish off “Awards Season”, it behooves me to mention that we are still in the early stages of “Hot Stove season” as well. That being said, there has already been an extremely large trade executed between the Miami Marlins and Toronto Blue Jays. 12 players and cash involved along with a boatload of ill will for the Miami front office. I make mention of it not because I’m going to analyze it or anything but because of what it implies about some of the remaining pieces of the 2012 Marlins roster. There’s been talk that Logan Morrison, despite his inexpensive contract, down offensive year, and the fact that he’s coming off of a season-ending injury is being actively shopped to other clubs. There’s also been talk that a third member of the Marlins’ rotation from last year could be moved in the right deal. This is where the focus of this column lies. He and I tweeted back and forth once or twice on the possibility and probability that Doug Melvin reached out to the Marlins regarding Nolasco. It’s no secret that the Brewers have the desire to add a veteran starting pitcher to their rotation. The production (4.48 ERA), declining strikeout rate (5.8 K/9 in 2012, third straight year in trending downward), and cost (owed $11.5MM for 2013) all factored in as reasons why I wouldn’t have wanted Melvin to reach out on Nolasco. Well, I did some digging last night. What I learned was that there is believed to have been contact between Miami and Milwaukee recently, and that contact was regarding Nolasco, but…and here’s the fun stuff…it was the Marlins who did the reaching out. Like I said, it’s no secret that the Brewers have a want. 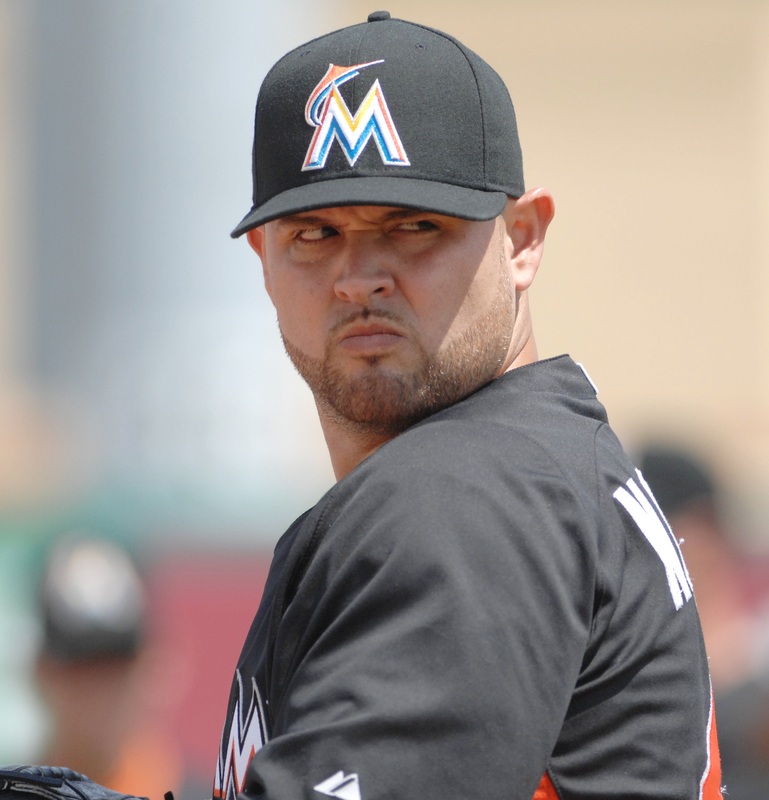 The Marlins realized it and made contact to see if Nolasco could be the answer which would sate Melvin’s desire. As much as I would support Nolasco if he were ever a Brewer, Doug Melvin is not a pawnbroker who you can get to give you something of value for your unwanted assets. That’s it though. No word on how those advances were received nor do I know if contact has been made beyond the initial one, but I’ve always said that I will pass along information as I learn it, so there you have it. After the latest Marlins’ fire sale, I’d be looking over my shoulder too.